The RT network has been nominated in 18 categories of the New York Festivals awards for the world’s best TV and film work. It is now competing for the main prizes in more categories than some of the other major international channels, such as BBC and CNN. RT made it to the finals of the international awards competition with a number of projects, including news reports, online programs, and documentaries. 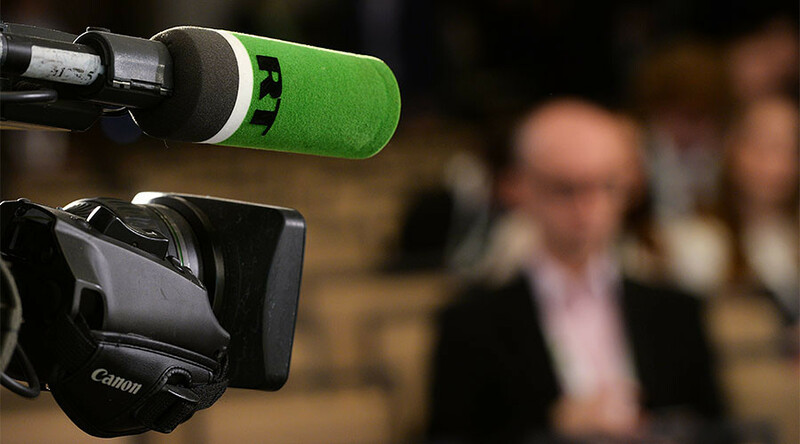 The work of the Russian channel’s correspondents in the war-torn countries of the Middle East has not gone unnoticed by the festival, and RT received nominations in different categories for reports from both Syria and Libya. RT’s Murad Gazdiev, who has extensively covered the struggle against terrorism in Aleppo, Syria, has been nominated for the Best News Reporter/Correspondent award, while RT correspondent William Whiteman is among the Special Report finalists for a series of exclusive reports he delivered from the frontline in Libya. In addition, RT’s coverage of the Flydubai plane crash in southern Russia in March 2016 has been picked for the finals in the Best Coverage of Continuing News Story category. The tragic crash of a plane belonging to Dubai’s low-cost carrier claimed the lives of 62 passengers and crew members. Subsequently, numerous Flydubai pilots revealed that pilot fatigue could have been a contributing factor, with some of the whistleblowers telling RT that they had been complaining for years that the airline was scheduling exhausting rosters and turning a blind eye to employee complaints. — RT (@RT_com) 13 апреля 2016 г.
Larry King’s The Interview show on RT America, Anissa Naouai’s In The Now online news program, RT America’s special report on the US’ Guantanamo military base in Cuba, and three RT documentaries are also in the finals of New York Festivals’ World’s Best TV and Films 2017 competition. RT has previously won prestigious prizes at the international competition. In 2014, RT’s documentary on vendetta traditions in Chechnya, Blood and Honor, received an award at the New York Festival, while Julian Assange’s program for RT won a prize the year before. Last year, RT grabbed top prizes in four categories. This year’s awards ceremony will take place in Las Vegas on April 25.